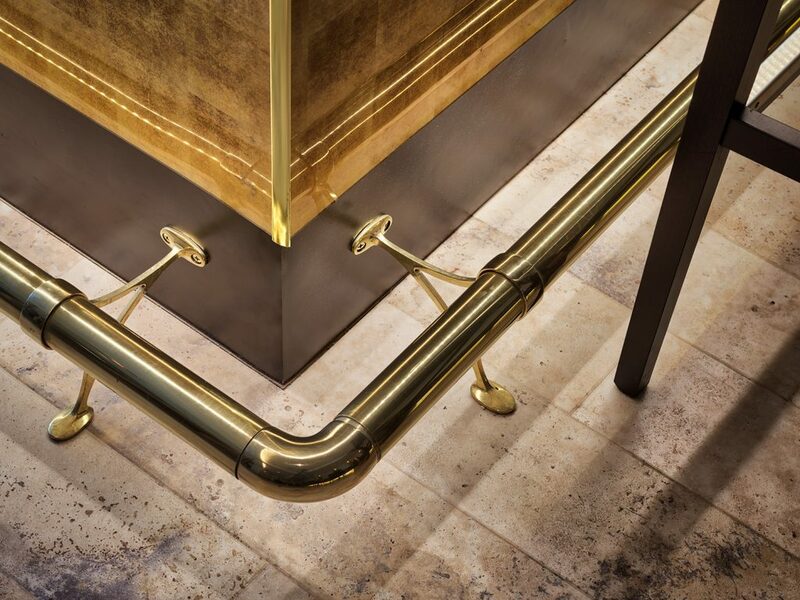 Keeping in line with our signature theme of creating ostentatious interiors. 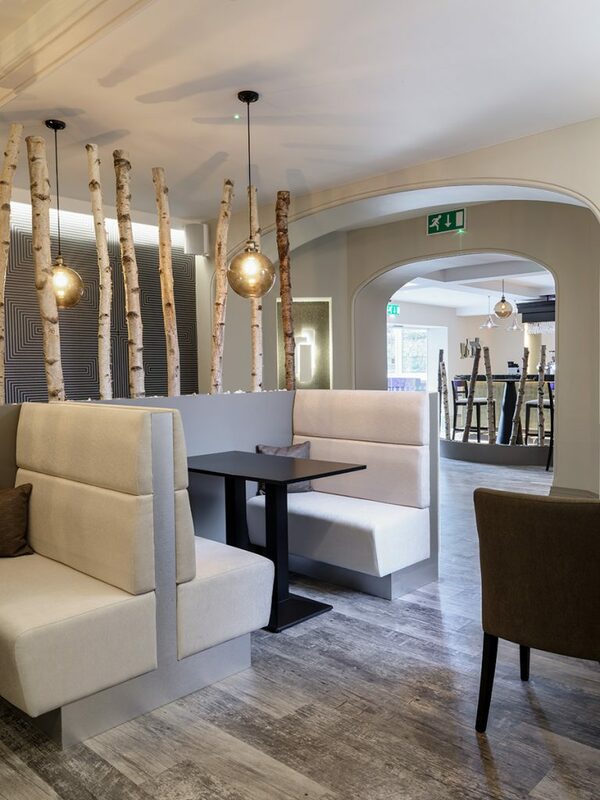 Astounding’s design intent for this restaurant’s concept is one of light and openness, while maintaining a warm and cosy theme. 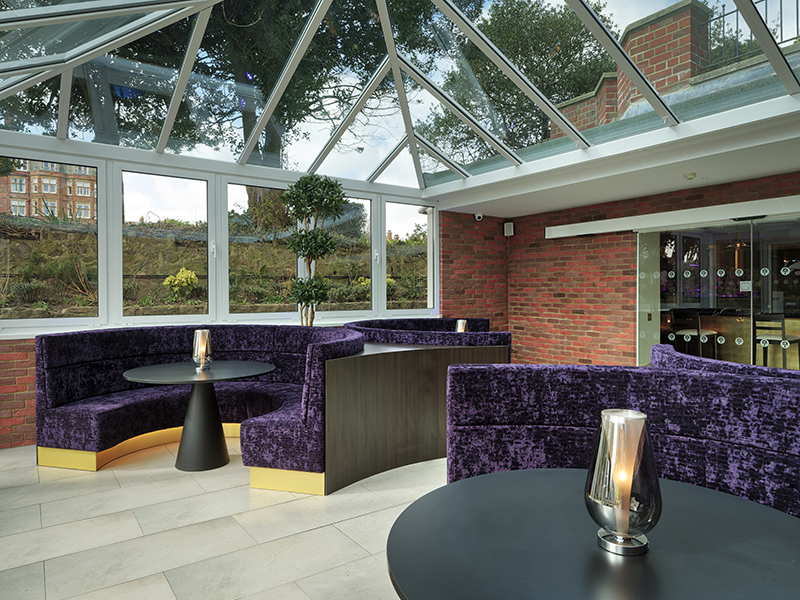 We wanted to design an interior, which would make a statement both in the day and in the evening. 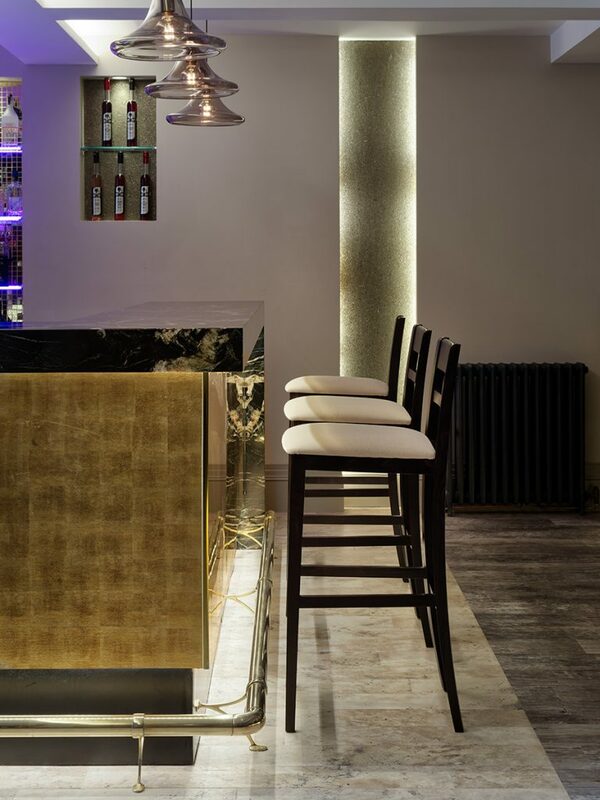 This has been achieved by using a mostly neutral colour palette for the walls and flooring. 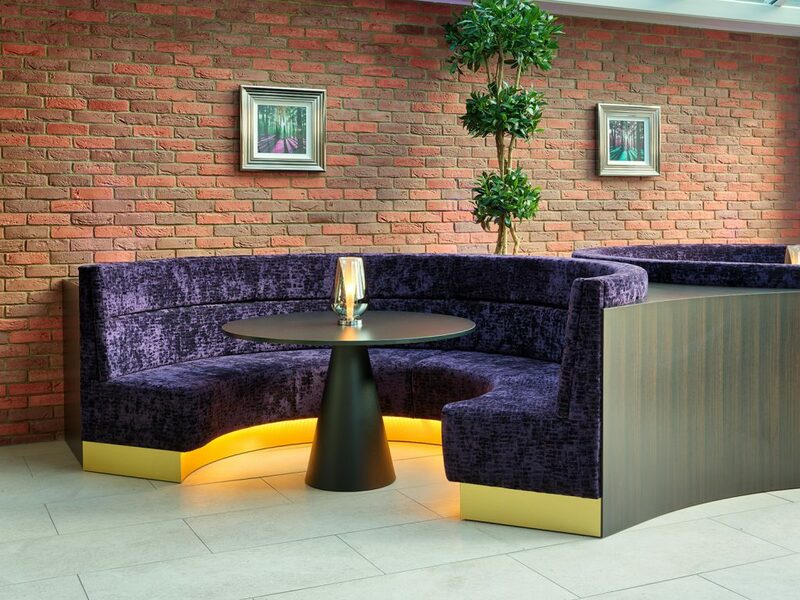 Using statement feature walls in the design to create a proposal, which could emphasise the design intent. 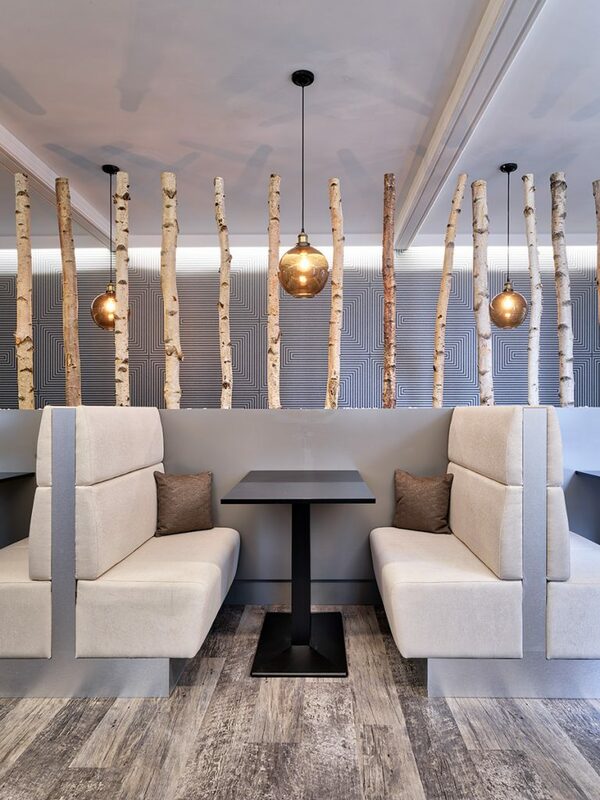 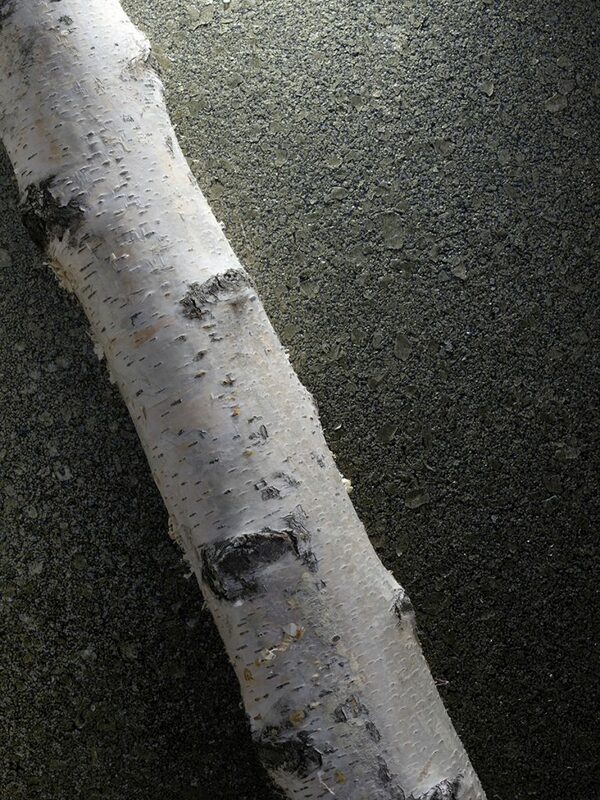 Then using the furniture, lighting and wooden branch details to make a statement design. 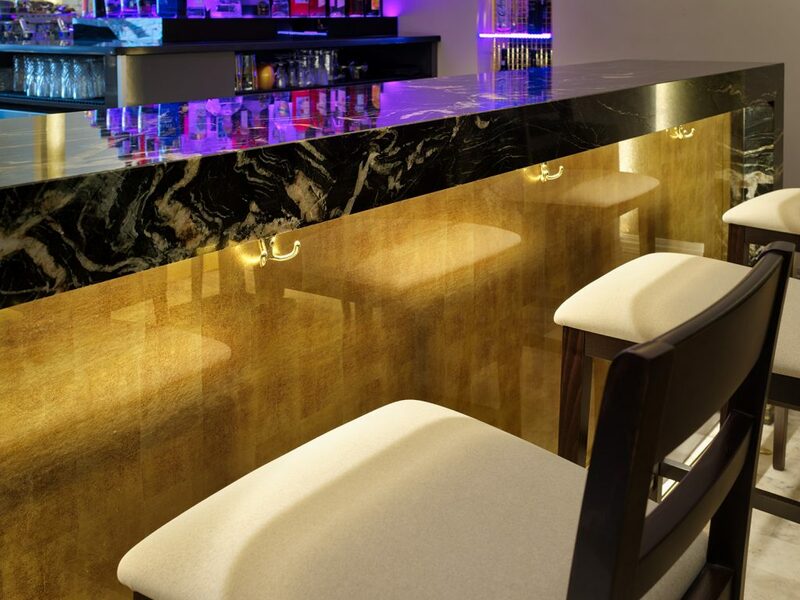 Gold as a material, when used right can be used to make an interior look luxurious, cosy, or vintage, etcetera. 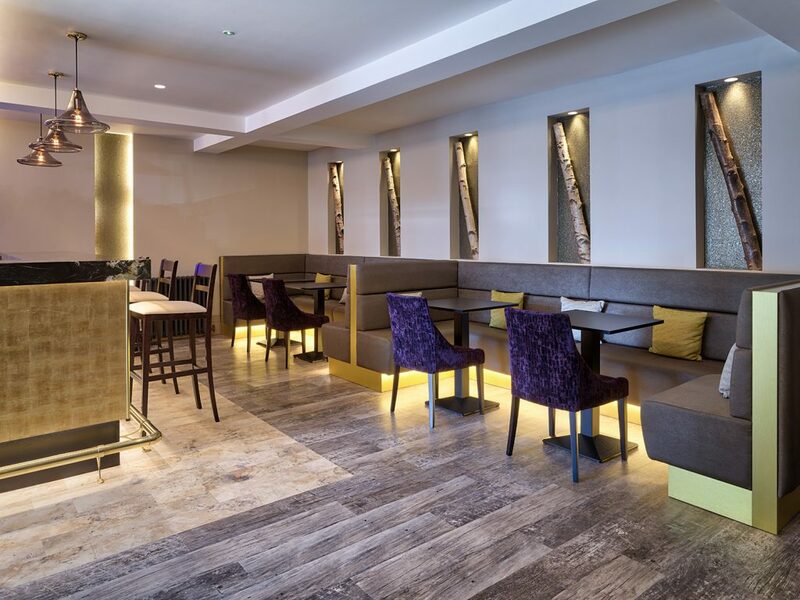 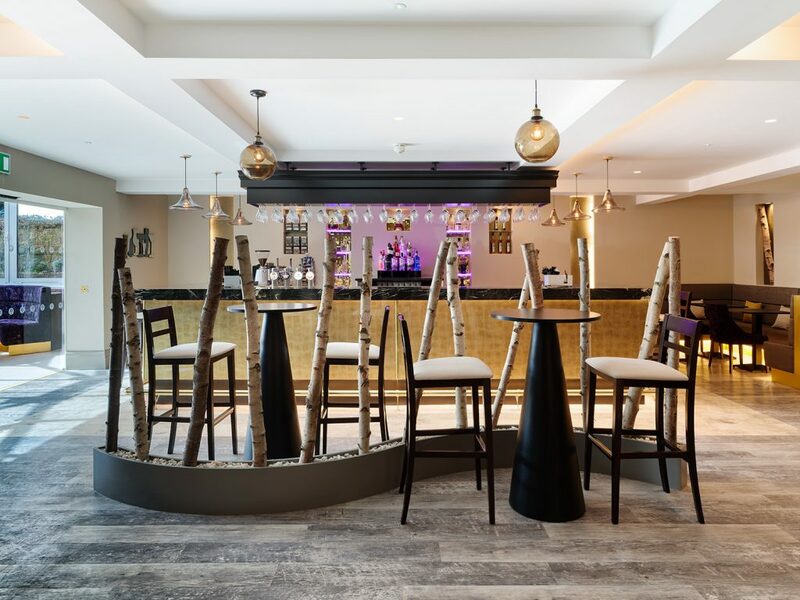 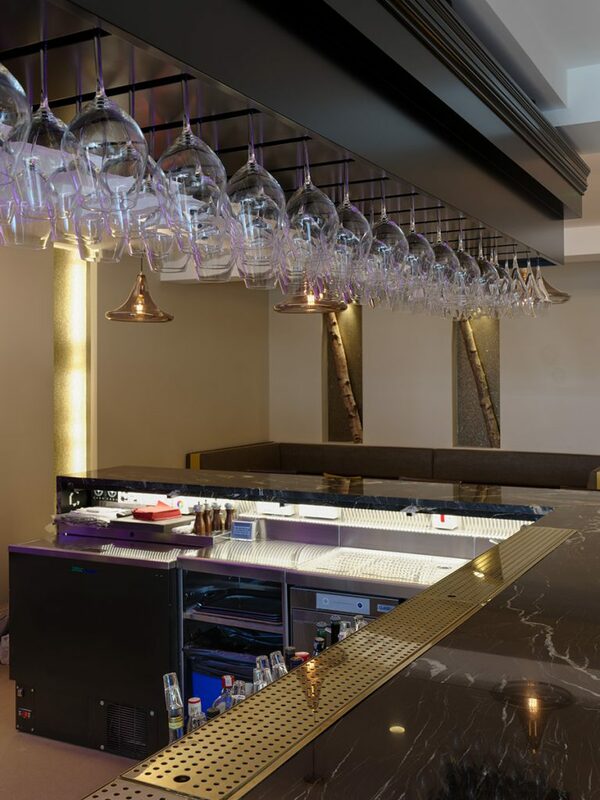 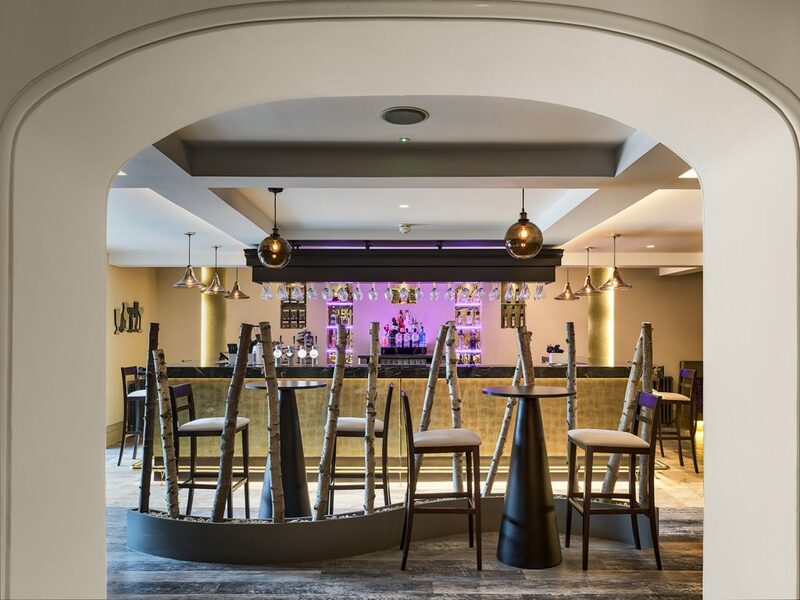 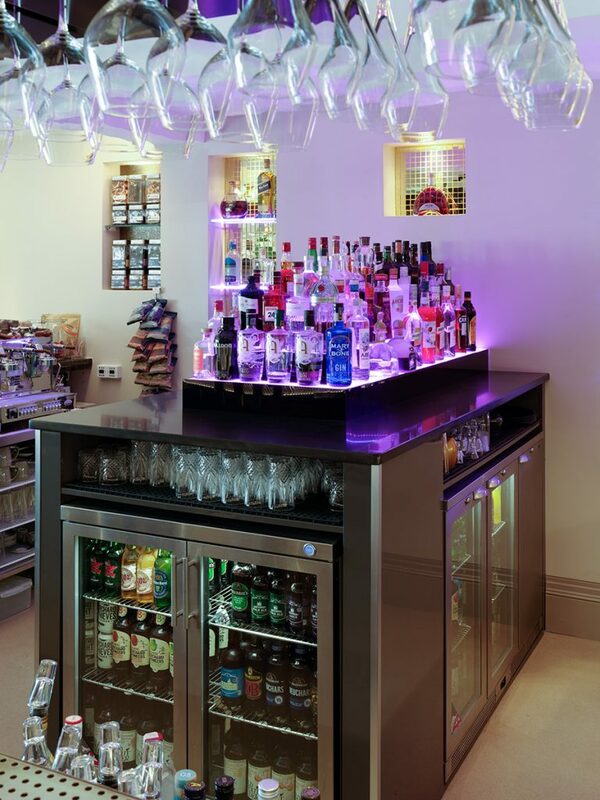 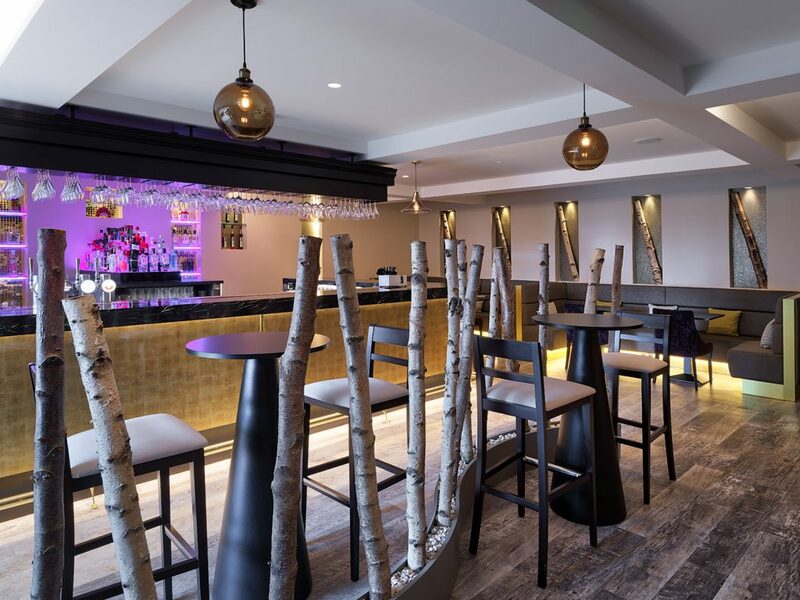 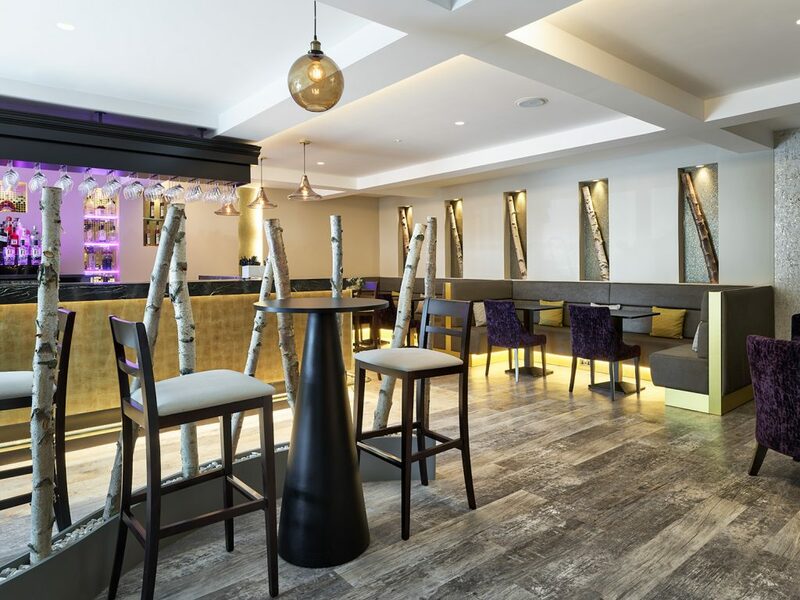 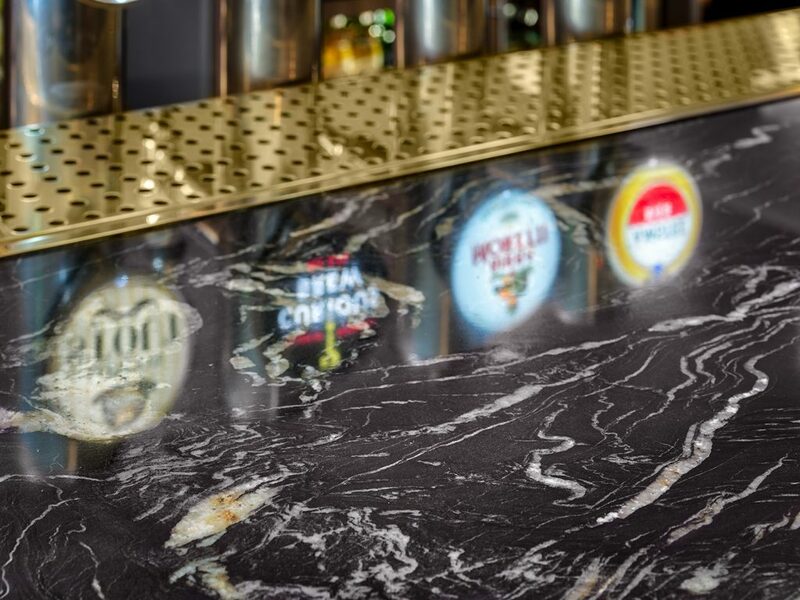 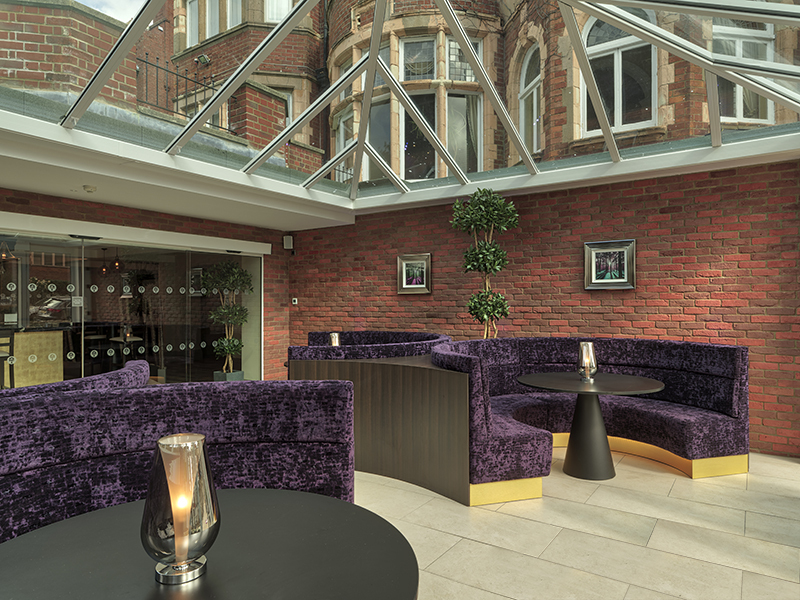 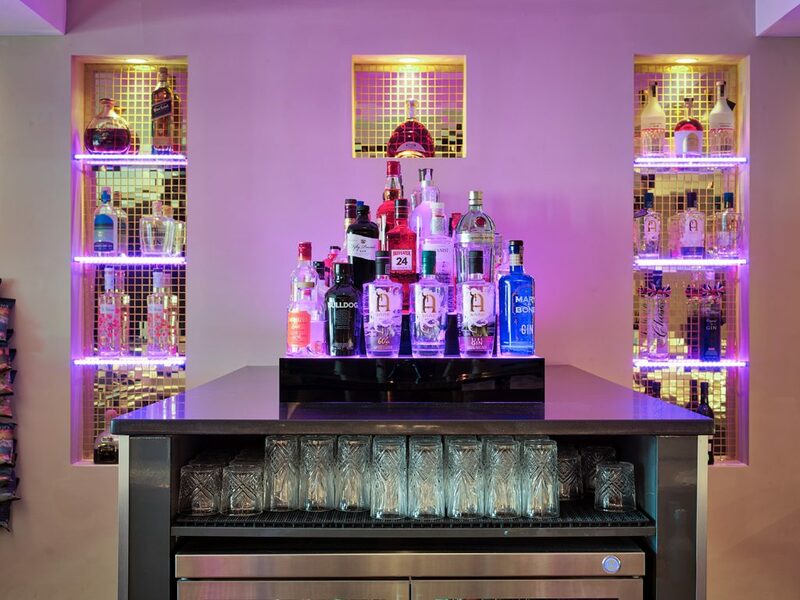 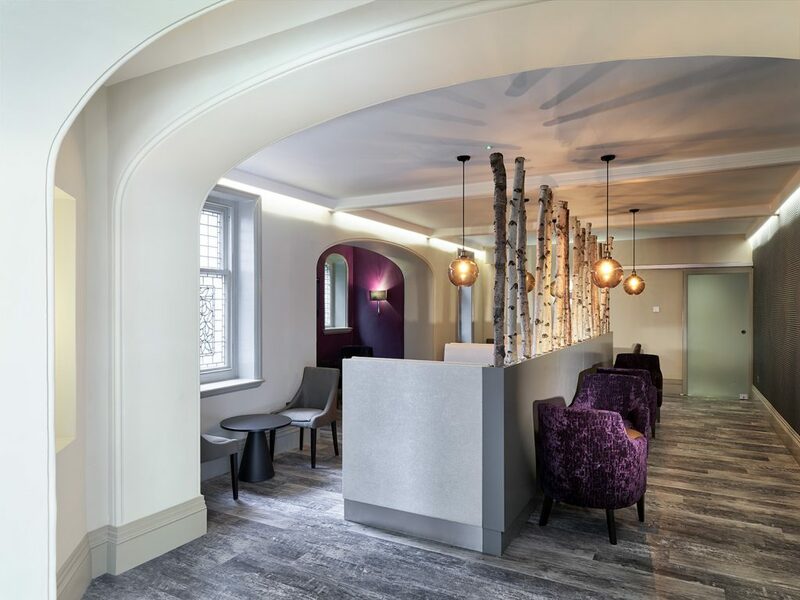 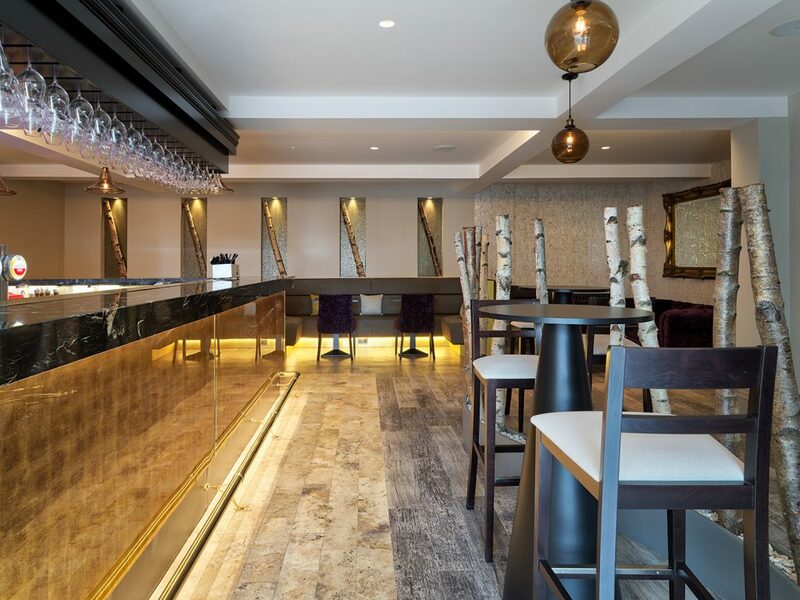 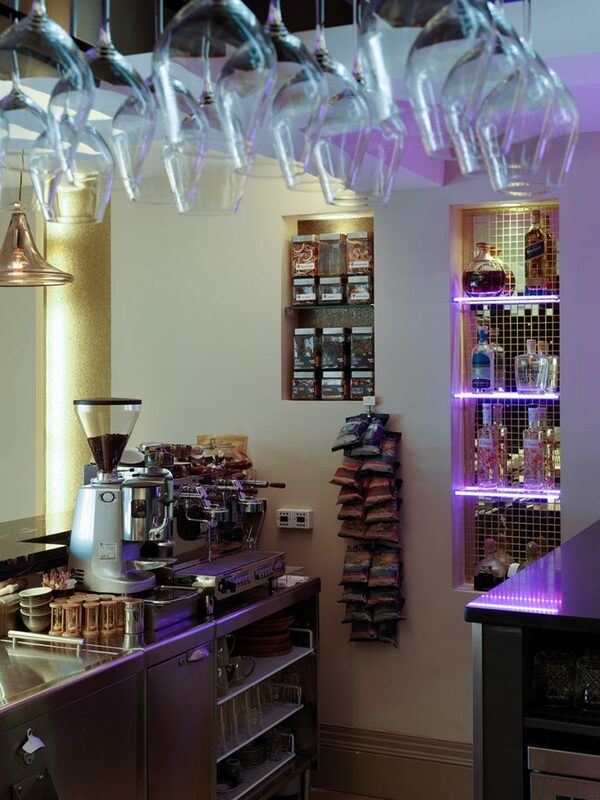 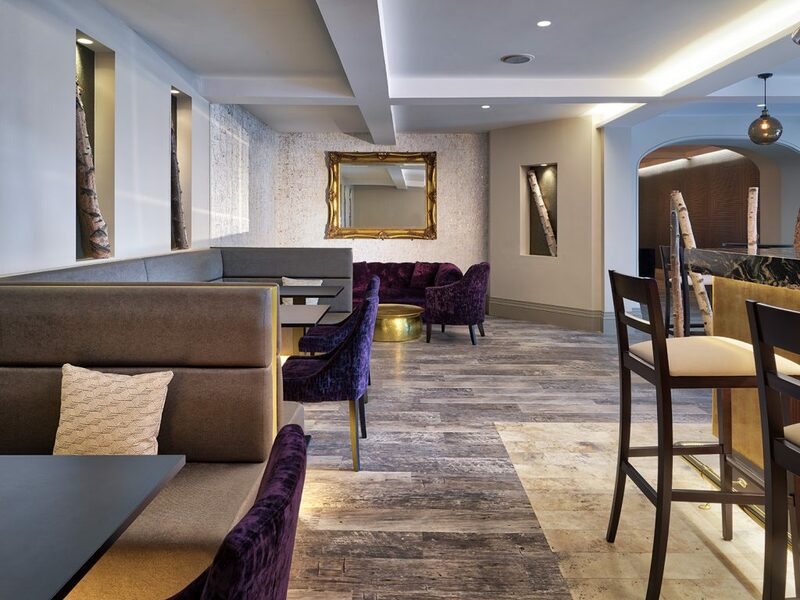 So when we designed the bar, we knew immediately we wanted a striking feature, which would not date and would blend into the rest of the design. 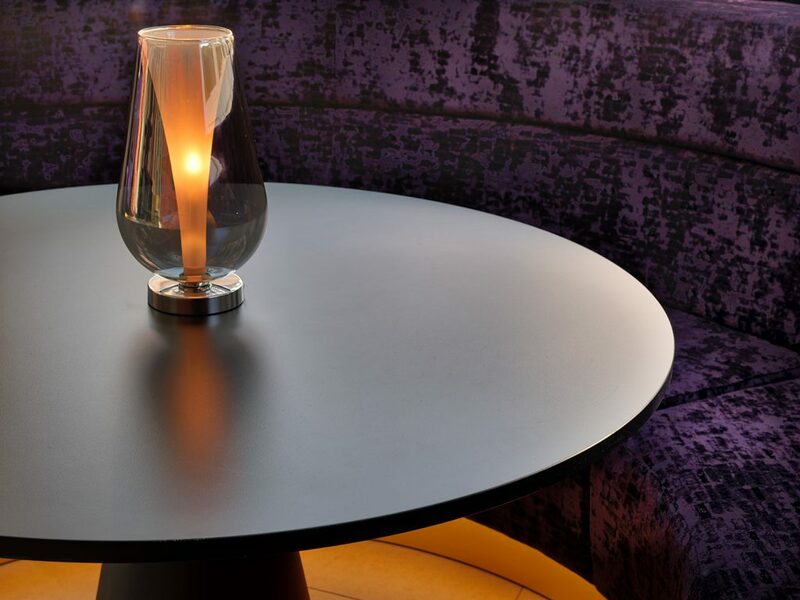 We were able to blend it into the design by the use of colour detailing on the booths and on the chairs.